Want to do a 3 day juice cleanse but don’t know how to prepare or what to expect? 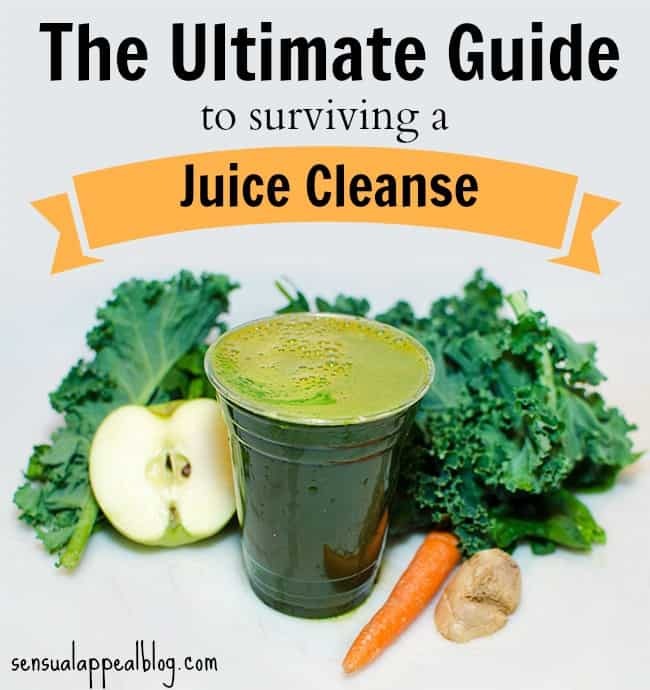 Read this step-by-step ultimate guide to surviving your first 3 day juice cleanse, where I reveal all my thoughts, feelings, and emotions before, during, and after my first 3 day juice cleanse! If you’re following me on Instagram, you probably saw some recent photos I posted of juices. That’s right – I just finished a 3 day juice detox! It’s not technically my first one, but I unfortunately did not finish my first one with Skinny Limits. While I got far, I simply was not prepared for it mentally and had no idea what to expect. Now that I’ve done more research, preparation, and have a legitimate reason for doing it – I was ready. I used a local company this time because I found a good deal on Groupon but I highly recommend Skinny Limits – their juices are alive! Why am I doing a juice cleanse? I recently talked about some dietary changes I am making in my life. Truth is- I never had any digestive issues. Ever. I felt grateful but also sympathetic to those who did have them. It wasn’t until late November that I started getting some more noticeable digestive issues. I became more conscious of what I was eating and what type of food was making me feel better or worse. I realized that diary gave me side effects similar to that of a slight lactose sensitivity. Additionally, I realized that I eat a lot of sugar and was craving sugar constantly. My mom suspected candida overgrowth. I don’t think that’s necessarily the issue but the truth is of the matter was – something was messing with my digestive system and it needed to stop. About 2 weeks ago, I started having bad issues with my stomach – strange feelings were going on in there. I had bouts of nausea and even something like a mini food poisoning on New Years Eve morning. I felt better later (Thank God) so I still went out. But the strange stomach feelings persisted. I couldn’t even describe the feeling to you but it was like there was a lot of gas trapped in the stomach and esophagus and it made it hard to breathe. It contracted my chest, my throat, and my esophagus. It was very uncomfortable and it got to the point that, after about 4 days of it not getting better, I went to the doctor. The symptoms I described were not textbook anything and the chest X-Ray did not show anything abnormal (Thank God, again) but she did say it sounded like something was going on in my GI tract and it might be something like acid reflux or GERD. She prescribed some OTC meds and a bland diet for the next few days and to keep a watchful eye on the symptoms and to come back if persisted. Thankfully, the symptoms lasted for two more days and then went away with the help of a 2 day bland food diet (yes, it was very boring – there was a lot of rice and oatmeal involved), and an occasional anti-gas/anti-acid medicine (ugh, I hate using meds but I really needed this to go away) along with a daily probiotic. This caused me to reflect on my daily food choices. Ever since I started intuitive eating, there have been ups and downs. I have not been eating as intuitively as I could be in the last few months and I leaned into a sugar addiction of sorts. I dislike the word ‘addiction’ to be used here but it’s what it feels like. The sugar cravings are intense – similar to how I had whenever I’d eat dairy. My mom also pointed out I was eating way too much sugar – and she was right. I had no idea how to stop and finally start eating like a real adult. So I sucked it up, hired a holistic health coach (Hi, Carly) and decided to do a 3 day juice cleanse before our first meeting to reset my cravings, cleanse and detoxify my body of impurities and toxins, and be ready for a fresh start. I didn’t really do anything fancy before a juice cleanse. But I guess a main thing I did do was try to reduce the amount of sugar I was consuming. It was still up there but at least I was not buying food out during lunch and no delivery for dinner (I’ve been really liking Mexican and Thai lately…) Additionally I haven’t really eaten any considerable amount of dairy since Christmas passed. Avoid nicotine, alcohol, caffeinated drinks, animal products, wheat, processed food, and sugar. Drink a lot of water, preferably starting the day with a mix of water with apple cider vinegar to start the detoxification process. If eliminating all these foods seems too hard, simply eliminate any processed and refined foods – white flours, white sugars, pastas, breads. Don’t exercise intensively during the cleanse – but more low impact, slower workouts – like yoga or walking, are fine. Well, I kind of followed that advise. I had eggs for breakfast every day before the cleanse (I clearly didn’t read the instructions for preparation that much). I wasn’t worried – I knew the key to sustaining through this challenge would be more mental anyway. This is the key to surviving your first 3 day juice cleanse. It’s all in the mindset. It’s mind over matter and that’s that. Of course, you should always consult with a doctor before doing a cleanse to determine whether a juice cleanse is right for you. I am not a health professional and I do not intend my advice to be seen as such. 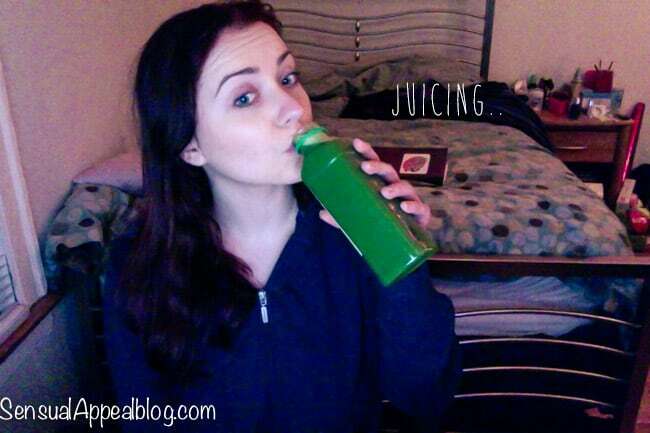 This is simply my personal account of the experience with juicing. I did not do my first juice cleanse the full three days because I was simply unprepared mentally. I had no idea what to expect. I didn’t know whether the side effects I was feeling were because something was wrong with me or what (no, nothing was wrong with me – I later found out these were normal detoxification side effects and they were to be expected -such as headaches, bloating, gas, phlegm, etc). Research juicing before you do it and find out whether it is right for you – are you ready for the side effects it may come with? Yes. There will be side effects and they may not be pleasant – and you must be aware and OKAY with this before you do the detox. Avoid Pinterest and food blogs like the plague! Nothing worse than seeing a beautifully photographed dinner recipe on Pinterest when all you have to look forward to for the next three days is water and fruit/veggie juice. Don’t make yourself suffer. Just steer clear of it. You can do it! Stay busy – do the cleanse in the middle of the week when you’re at work so you can keep your mind occupied with things that are more important than wondering about whether you should just say screw it and have normal lunch after all. The more things you have to do, the easier it will be to stick to it. Tell everyone you’re doing it. Tell you friends, on Facebook, your family. If you voice your plan and challenge, you are more likely to stick to it. Don’t plan any crazy activities for the duration of the cleanse – I prefer to not do any workouts but you may do yoga or something light if you are used to exercising frequently. Since there is barely any protein in the cleanse, you don’t want to make yourself hungrier by exercising, do you? Don’t overthink it. Just let the process do its thing. Trust your body to do the best it can do for your benefit and let it be so. If you’re curious about what ingredients are in each juice, you can check out the menu on the company’s site. Well, today is the day it all starts. Knowing that you have committed to full 3 days of a juice cleanse helps me get through the first day without that much struggle. Surely, I can’t allow myself to fail when I’ve only just begun. Being at work, in a semi-busy environment definitely helps. I wish there was more I had on my plate (haha, pun not intended) with assignments and work stuff so I could keep myself more busy. However, just being in a setting where there are people all around you and you can be distracted is a huge help. I’ve also realized that since I have to have a juice every 2 hours and go to the bathroom in between (pee break!) at least it’s helping me step away from the computer more often than before, stretching my legs out and whatnot. There are is some mind chatter going on but not a lot. I can contain it rather easily since I know I’m not anywhere near the finish line and I simply don’t allow myself to feel negative or mixed feelings about the cleanse. How am I feeling: The morning was the easiest. I don’t typically feel very hungry in the mornings anyway so it isn’t a struggle in the slightest. In the afternoon, I start feeling a little hungry and the feeling just stays with me through the rest of the day regardless of the juice I drink, it simply increases or decreases in intensity. But for the most part, it does not ever get uncomfortable – just a little noticeable. There is a slight bit of headache at some parts of the day and I feel a bit blurry at times, but that’s a given side effect of detoxification. These feelings mostly come on when I find myself bored (maybe they are not even really physical but more of mental side effects, who knows). By 4pm, I start to feel a bit more out of it although energized at the same time. It’s like I’ve had a strong cup of coffee and I am not really myself but I am filled with this tingly energy that also makes me feel a little weird when I talk (a little bit of stutter at times, haha). It’s not unpleasant, it’s just there. The last two juices I had at home. I had some organic baby carrots with the second to last one and those carrots really helped me get back into balance. Just a handful of carrots, and continuing to stay busy, and my hunger feelings went away and I felt normal once again. I felt like I didn’t even really want/need the last juice and the almonds but, of course, I’m following the plan so I had them anyway. I’m now totally ready for Day 2! 🙂 Bring it on! I woke up about an hour earlier than my alarm even though I had some trouble falling asleep. I felt wired and buzzing, probably because I did a self-hypnosis session before sleep that ended up bringing me back to alertness at the end rather than just letting me fall asleep smoothly. Note to self: Don’t listen to guided meditation before sleep unless you know for a fact it is sleep-friendly. Haha. I woke up a little hungry and chugged water in the morning but I have about 40 minutes before my first juice but I really want it now. Now I’m really glad I ate the almonds because I’m sure I would be a lot more hungry this morning if I didn’t. But I quickly dismiss the thought. The thing is, I know that this is where I failed last time and I had the same exact thoughts back then too and I caved. Not going to happen this time. Knowing that I am able to eat carrots and almonds (and I had a banana earlier in the day with my tea, as specified in the schedule) is what keeps me sane and helps me through. Today at work, someone said it’s cheating if you eat bananas or actual fruits or veggies or nuts during a juice cleanse. Well, he didn’t actually know the first thing about juicing – he was just being snarky. But it did make me think – is it cheating? I don’t see it as cheating – it’s still raw veggies and the nuts before bed provide protein to hold me off until the morning. Provided that I am following the exact plan outlined, I’ll believe that the juice people know better than this random snarky guy. But what do you think? Is eating raw veggies and nuts during a juice cleanse cheating? How am I feeling: Today is easier to handle than yesterday but I do feel hungrier faster than before and I look forward to the next juice sooner than I did yesterday. I am also bloated. I’ve been peeing a crap load but no bowel movements today yet (6pm). 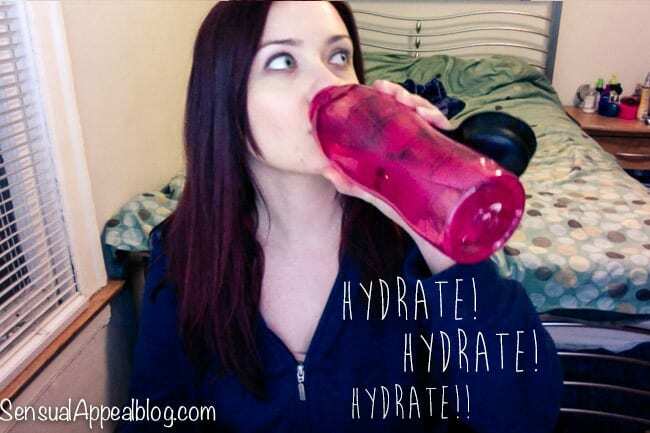 I feel some dry mouth and I constantly need to drink water. No dizziness or the loopy feelings I described yesterday – I am actually able to focus a lot more than I could yesterday. But man, I am excited for some carrots and almonds! Whew! I feel like the whole day of waiting is worth it for those fabulous baby carrots. I don’t count how many I eat, my obsessive eating habits are way behind me – so I grab however many I think will satisfy me. It was about 2 small handfuls. The juice was delicious but the carrots were the icing on the veggie cake! They made me full and very satisfied. My bloat went down after a pee break and I feel great! No mind chatter or sabotaging thoughts. I did not think today would be easy but I was wrong. Dead wrong. After falling asleep around 11pm (after a mini-marathon of The Mindy Project on Hulu – yes, I am a party animal), I work up refreshed and alert. I had a nice dream, already forgot what it was but it was pleasant. I felt happy, satisfied, and not at all groggy. The whole morning was the easiest of the whole cleanse. I am shocked because I totally thought the third day would be the hardest, especially it being a Saturday and all. I worked on the blog a little bit, meditated for 15 minutes (which just elevated my mood even higher) and had my first session with my health coach which made me even more inspired than before. I’m feeling positive, grateful, and excited. I had some white tea with a banana and I think its caffeine content hit me a bit during the call because I felt super energized and could feel this buzzing feeling all over my body. It was, however, not unpleasant and it only lasted for about 30 minutes (I do tend to be rather sensitive to caffeine and it tends to give me anxiety, but usually not from tea, unless it’s black tea or something). Today is an amazing day. I feel truly blessed. I went to get groceries and shopping earlier and it was a nice walk. Trader Joe’s was super busy and I had to wait in line for like 15 minutes. It was right around the time I was to have my 4:30p juice so I was getting rather hungry and almost lightheaded. Water was helping me though. As soon as I got home, I had my juice but it wasn’t very satisfying. It was still hungry. I was also feeling a bit out of it (it’s the hunger) but still buzzing and energized. It’s a weird, contradictory feeling. I’m just glad I’m able to have carrots with my next juice, I feel like I really need it. Almost there. The carrots helped so much and the red juice was delicious – definitely hit the spot and I started feeling like my old self again. I’d say I’m pretty much back to where I was this morning – no longer ravenous and definitely a lot more satisfied. I guess I should have mentioned that I drank the last juice of the cleanse on the first day I received them because I was really craving vegetables and I sortaaaa kinda did not actuallyy think I would last till the end (I know, I have to believe in myself a little bit more). So tonight, I didn’t have the last juice. Instead, I just drank some unsweetened coconut milk from a carton from Trader Joe’s with some cinnamon and had soaked almonds on the side. It was a nice way to end the cleanse. I did it! 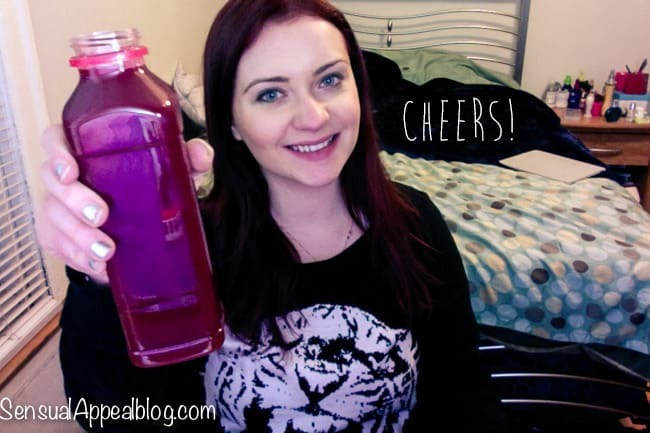 I did three full days of juicing! I can hardly believe it. Truth be told, each day was easier than the last and I could probably go for a few more days if I had more juice. But on the flip side, I’m excited for some real food. My fridge is stocked up with healthy fresh foods and I’m looking forward to cooking and eating more REAL food from now on (and much less sugar!). Unlike my previous thought, the juice actually gets easier as time goes by. I thought the first day would be the easiest but in reality, I could easily do two more days of the cleanse. The third day is when you really start to feel the positive benefits – more alert, positivity, happiness all around. Having some solid foods (raw veggies and almonds) with the cleanse is crucial (for me) to survive the cleanse. Without them, I might have gone a bit crazy. No cravings for anything but veggies and fruits after the cleanse is complete. The feeling of having my digestive system as “reset” was accomplished – I felt on the right track once again and a lot more in tune with what I was feeling after eating certain foods. Eating became less emotional and more physical. Have you ever done a juice clenase? How was it? Share your tips! If you haven’t, would you want to? Thanks for such a thorough article about this! I’ve been wondering about whether I should do a juice cleanse lately. I’ve been eating a lot of junk food lately and I gained 5 lbs over the holidays. Did you lose any weight from the clenase? I don’t own a scale so I don’t weigh myself so I have no idea but I doubt it. What company did you use in Chicago? Thank you for this comprehensive article on juice cleansing. You’ve made me want to seriously consider going through a juice cleanse myself. I don’t really love the idea of juice cleanses. I’d much rather eat salad at every meal than drink my calories, and i feel like you get the same (or more) benefits. I’m glad you had a good experience, though! This definitely is something I need to do. I was having awful digestive problems a few weeks back. I cut way back on the carbs and sugar and I am almost back to normal, but I still feel like I just need to flush everything out of my system. Wow I love this entire post and what your experience was like. This is a great recap! I’ve never done a juice cleanse and really honestly never hope that I have to. The two days that I was on a liquid diet for a colonoscopy were awful, granted I was drinking clear broth and the gag-inducing medicine cocktail. More power to you and I hope that it provided you with some relief! Oh man, that would probably be why – haha the juices actually all taste really good. But I can only imagine drinking only broth and medicines for 2 days…. that’s torture. Sorry you had to go through that :/ And thank you for reading! It did help! Great article!! I have never done a juice cleanse. Maybe one day. I hope you’re feeling better. Organic apple cider vinegar is suppose to help with acid reflux. And also, H2O2 (“food grade” hydrogen peroxide) is a treatment that is helpful for so many things I could not list them all here. If there’s a natural fix for something, I’m all for it. Glad you made it through your juice cleanse. It seems that you didn’t mind it all that much and will probably do it again. I have not heard of taking H2O2 internally, that is very interesting and I’m gonna do a bit more research on that one. Thank you for reading and the tips! This is awesome! 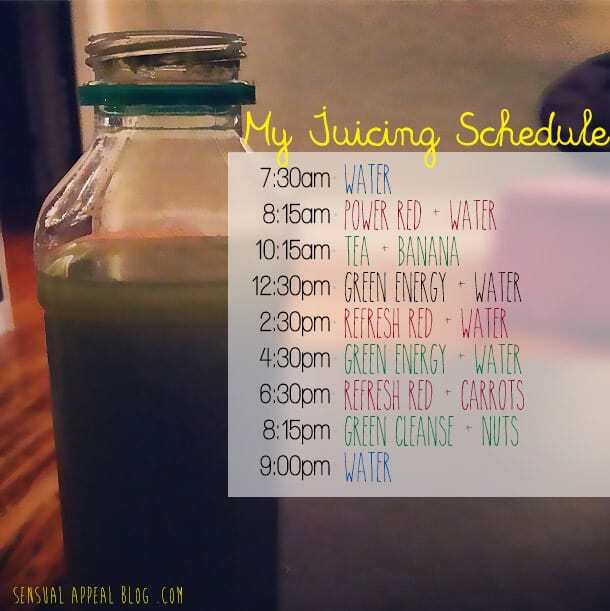 I’m thinking about doing a 5 day juice cleanse but wanted to learn more about what to expect. I’m so glad you visited my blog so I could stumble upon this on yours – what great timing! Thanks for sharing such an in-depth post on your cleanse. 5 days! Awesome! I’m sure it will be great, have you done a juice cleanse before? I can’t wait to hear about your experience doing it for 5 days! Such a comprehensive post on juice cleansing! Two-thumbs up for you! You made the challenge! Hope I can do it too. Anyway, after your 3-day juice cleanse what matters most is the mind should be relaxed and the body conditioned. Absolutely! I’m sure you can do it, just remember it’s only 3 days and you can still have fruits and veggies and nuts if you feel like you need them 🙂 Good luck! Oh yes! juicing shows your digestive system some love, helps you load up on energy-inducing nutrients, gives your skin a pretty glow….